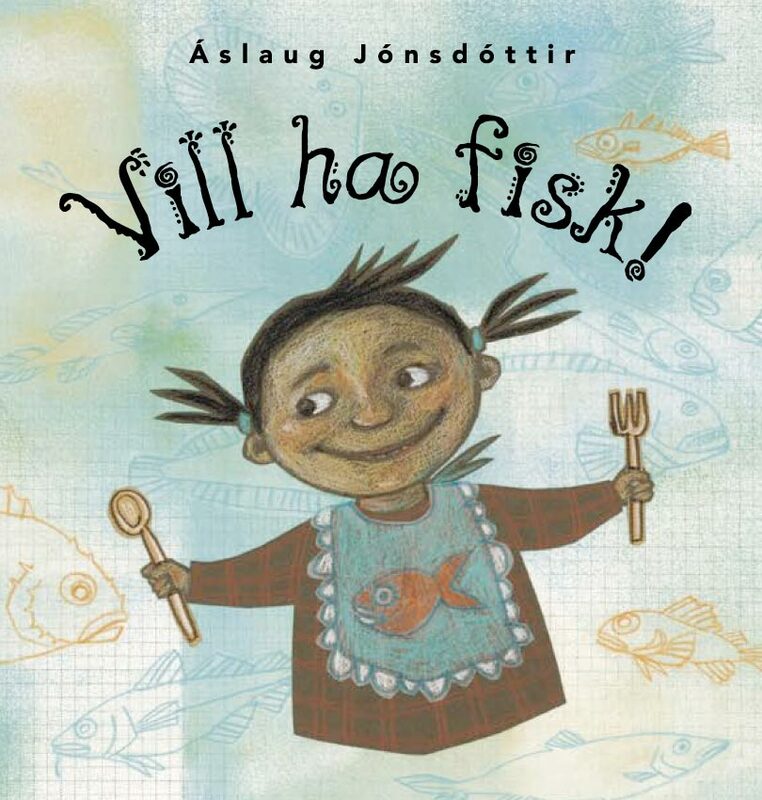 Tag Archives: Ég vil fisk! Ég vil fisk! | Shortlisted! ♦ Á úrtökulistanum! Eins og ég sagði frá hér í desember á síðasta ári, þá var myndabókin Ég vil fisk! tilnefnd til Gourmand World Cookbook Awards í þremur flokkum: Best Scandinavian Cuisine Book, Best Children Food Book og Best Fish Book. Bókin er ennfremur vinningshafi í þessum þremur flokkum á Íslandi, samkvæmt kokkabókum Gourmand International. Á heimasíðu verðlaunanna hefur verið birtur úrtökulisti (Cookbooks and Food Culture Shortlist 2016) fyrir hina ýmsu flokka. Ég vil fisk! er áfram tilnefnd til verðlauna í tveimur flokkum: Best Scandinavian Cuisine Book og Best Children Food Book. Vinningshafar á heimsvísu verða kynntir með viðhöfn þann 28. maí 2016 í Yantzi í Kína. ♦ Shortlisted! As I wrote here in December last year, my little picturebook I Want Fish! – Ég vil fisk! got nominated for the Gourmand World Cookbook Awards. 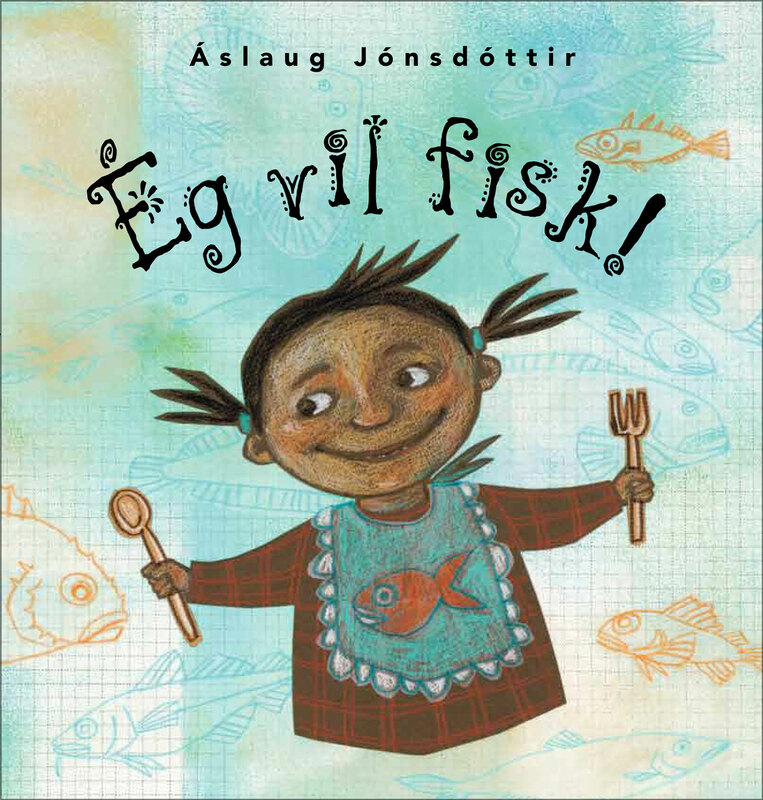 It was selected the winner in Iceland, and nominated for the next “Gourmand Best in the World”, in three categories: Best Scandinavian Cuisine Book, Best Children Food Book and Best Fish Book. Now the shortlists have been revealed, see here on: Cookbooks and Food Culture Shortlist 2016 – on The Gourmand World Cookbook Award’s website. I Want Fish! – Ég vil fisk! is shortlisted for Best Scandinavian Cuisine Book and Best Children Food Book. World wide winners will be announced on Saturday May 28, 2016 at the annual awards event that takes place in Yantai, China. I Want Fish! – Ég vil fisk! has been published in five languages and translations are available in English, Spanish and French. 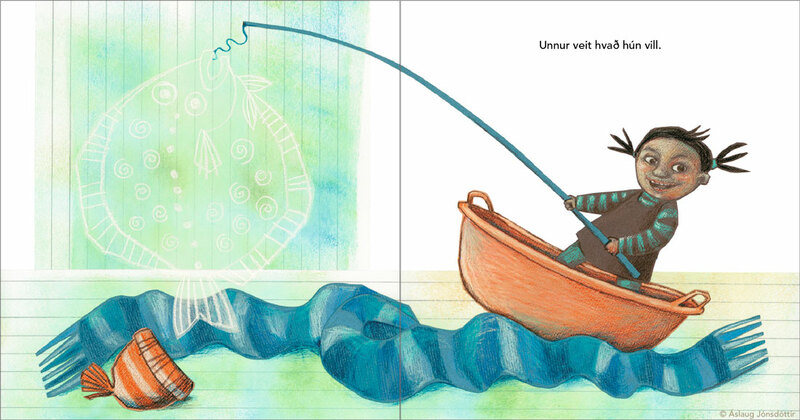 See illustrations from the book, read reviews and articles (mostly in Scandinavian languages) on this page. Bókin er ennfremur vinningshafi í þessum þremur flokkum á Íslandi. Listi yfir vinningshafa í 209 löndum verður birtur á heimasíðu verðlaunanna í febrúar, en vinningshafar á heimsvísu kynntir með viðhöfn þann 28. maí 2016 í Yantzi í Kína. Þó að Ég vil fisk! sé ekki matreiðslubók, þá kemur matur, áhugi á mat og matarmenning vissulega við sögu og þessi óvænta og skemmtilega viðurkenning sannar að það er hægt að lesa barnabækur á mörgum plönum. Ég vil fisk! fjallar um sterkan vilja og mislukkaðan velvilja, tungumál og skilning – og auðvitað matinn sem sameinar okkur og seður. Á þessari síðu má sjá myndir úr bókinni, lesa greinar og umfjöllun og brot úr bókadómum. Bókin hefur komið út á fimm tungumálum og er til í þýðingu á fleiri tungumálum. The results for all 209 countries will be posted on the Gourmand World Cookbook Award’s website in February. World wide winners will be announced on Saturday May 28, 2016 at the annual awards event that takes place in Yantai, China. These nominations must be a proof for the fact that good children’s books can be read in surprisingly many levels! I Want Fish! – Ég vil fisk! is a picturebook for the youngest readers. It’s a book about a strong will and a failing goodwill, language and understanding – taken in with several spoonfuls of some very nice and varied dishes! It has been published in five languages and translations are available in English, Spanish and French. See illustrations from the book, read reviews and articles (mostly in Scandinavian languages) on this page. Ég vil fisk! – I Want Fish!